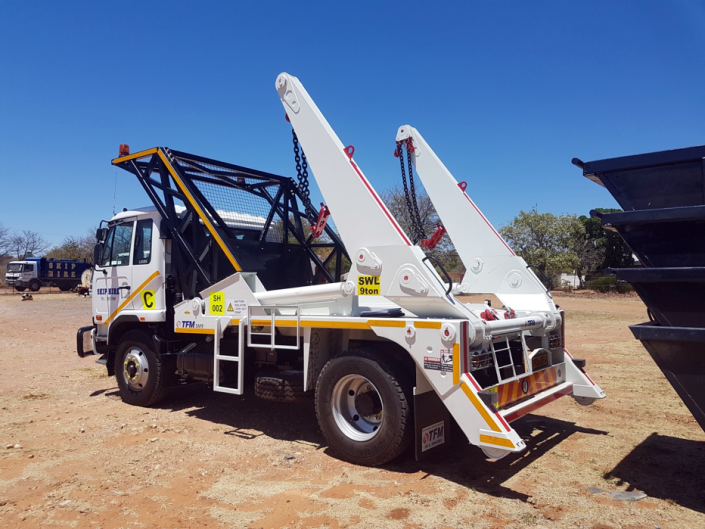 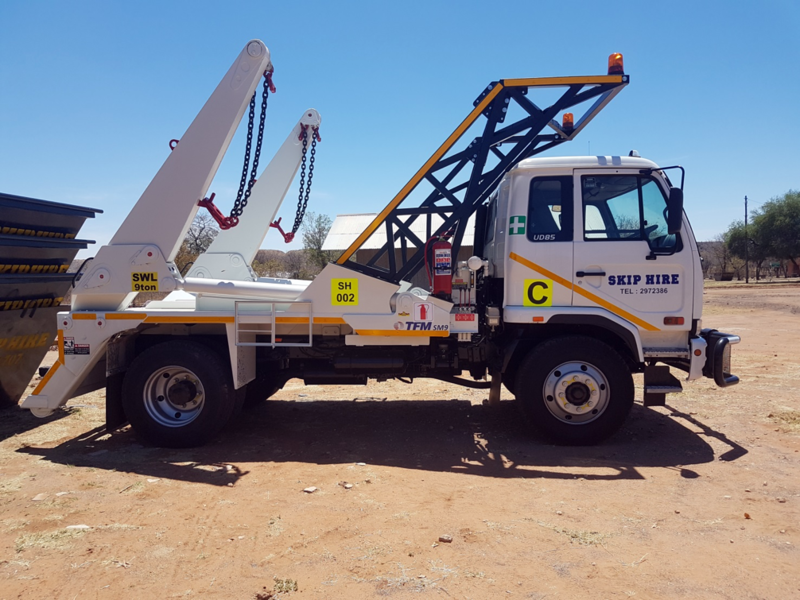 Recently delivered TFM SM9 Skiploaders, commissioned by NTT UD trucks Francistown Botswana, for Skip Hire Botswana, which are fitted with full ROPS (roll over protection system) and mine specification fire suppression systems. The SM9, 13 & 16 Skiploaders are manufactured completely in South Africa by TFM with the exception of the hydraulic valves and pump. They are designed for the tough African conditions and will provide a long and efficient service. 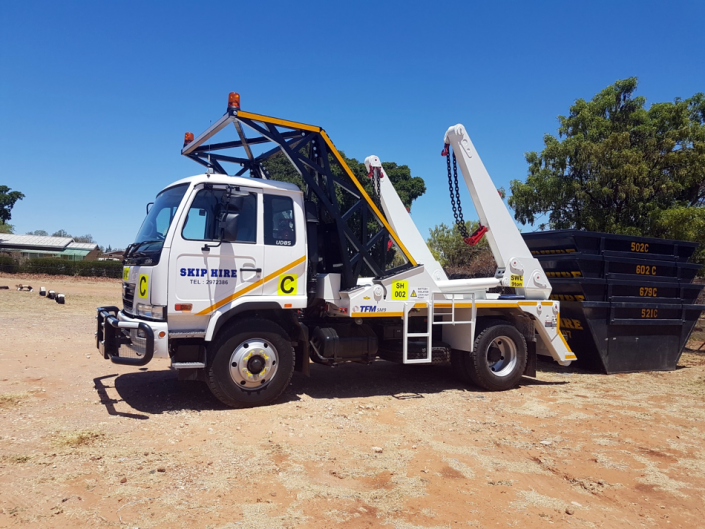 Skip Hire was established in 1989 and has grown into a reputable organisation, offering waste management services to numerous role-players in the industry. 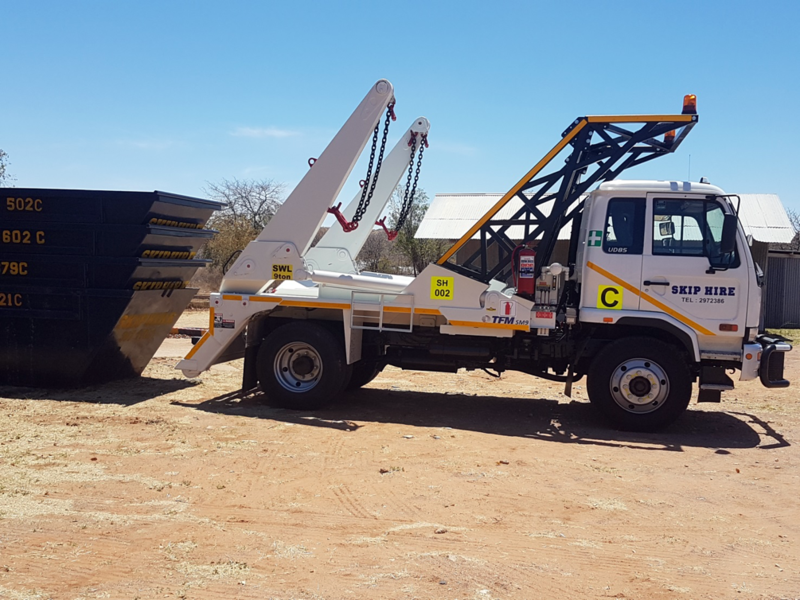 Some of Skip Hire’s larger clients include Debswana, Botswana Defence Force, Botswana Development Corporation, River Walk Shopping Mall, Game City Shopping Centre, Airport Junction Shopping Centre and Gaborone International Commerce Park. 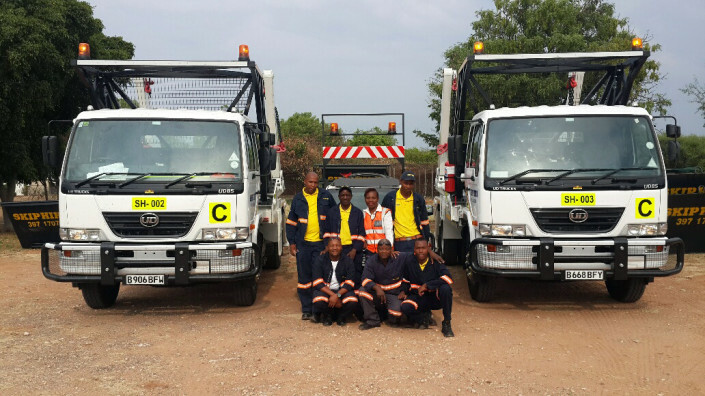 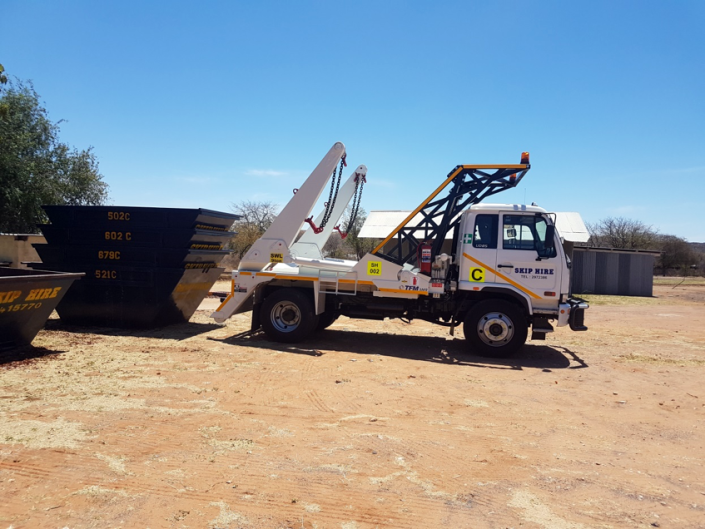 Skip Hire is the most professional waste management organisation in Gaborone and is well placed to assist its clients with waste removal services.